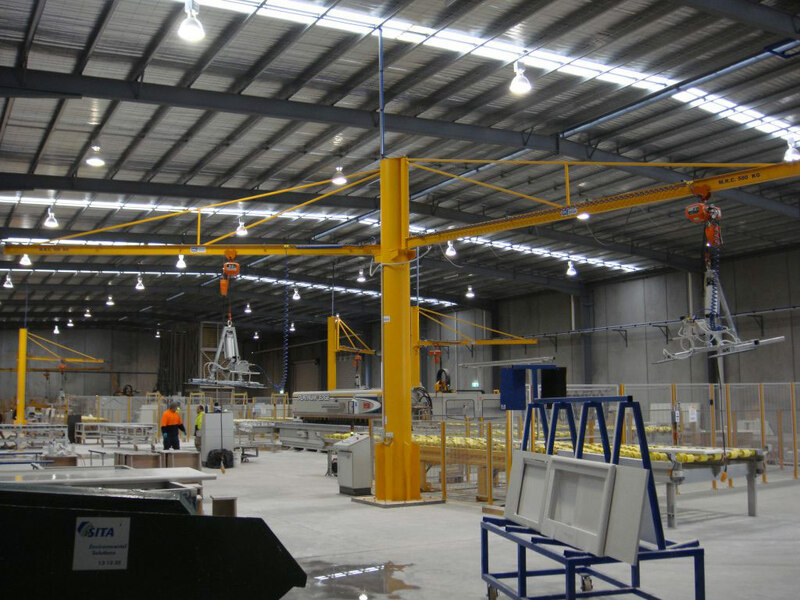 Top braced jib cranes provide a cost-effective way of material handling. This solution is easy to operate. The over-braced, free-standing jib is useful where overhead cranes are not practical or feasible. This type of jib crane gives 270° floor coverage. 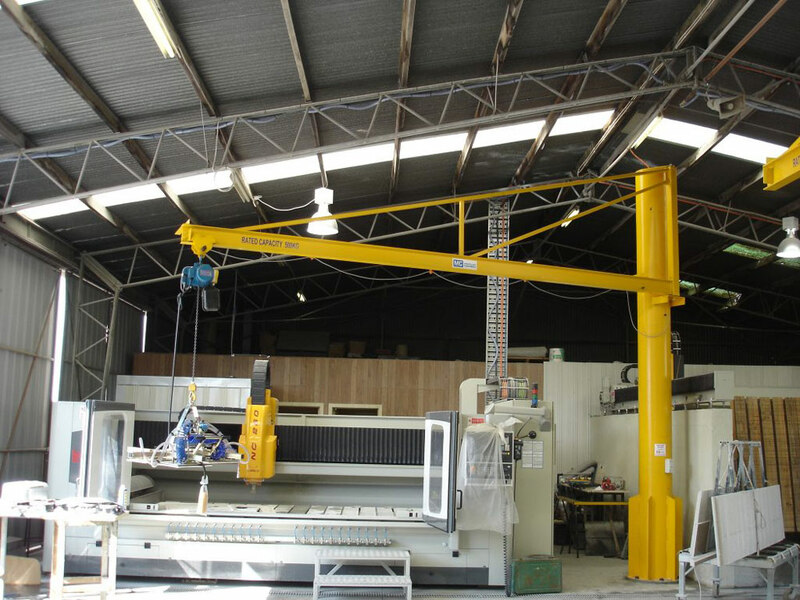 Jib cranes can be combined with a vacuum lifter and an electric hoist to meet your specific needs. 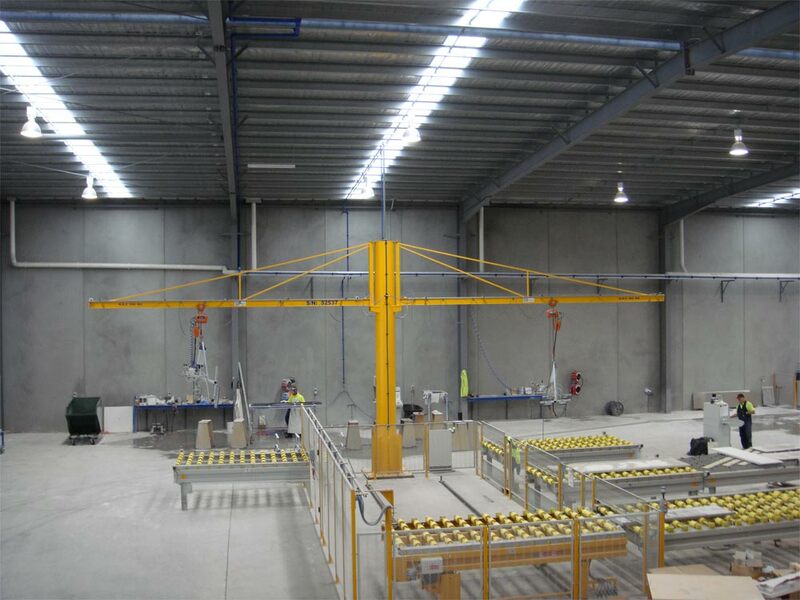 Top Braced Jib Crane or Column Mounted provides cost effective way of material handling solution &easy to operate.